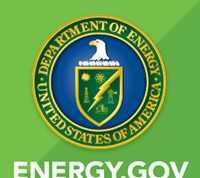 WASHINGTON, D.C. – July 31, 2015 – (RealEstateRama) — The Senate Energy and Natural Resources Committee approved two bills that include provisions to advance energy efficiency in the U.S. Most unfortunately and curiously, one of the bills reported also includes an untenable provision that unduly hampers energy efficiency gains by delaying the establishment of new efficiency standards for furnaces. 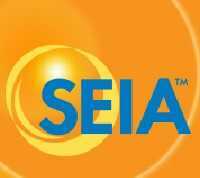 The Alliance to Save Energy vehemently objects to the furnace provision (Sec. 1103) in the Energy Policy Modernization Act of 2015 as it not only would delay — possibly forever as currently written — the updating of a standard that hasn’t been changed in nearly three decades, but also would set an unacceptable precedent of overriding consensus agreements that have been hammered out by manufacturers and efficiency advocates. The Committee took other action today that the Alliance to Save Energy unequivocally supports and applauds. The Energy Committee once again approved the Energy Savings and Industrial Competitiveness Act (S. 720) with a strong bi-partisan vote of 20 – 2. Today’s action marks the third time that the Committee has approved a version of S. 720, introduced by Alliance to Save Energy Honorary Board members Rob Portman (R-Ohio) and Jeanne Shaheen (D-N.H.). The Portman-Shaheen bill includes a broad and important range of energy efficiency measures that enjoy the support of more than 200 businesses and organizations and would generate estimated energy savings valued at $327 billion by 2030. “Enactment of all of the provisions of S. 720 — either as part of a comprehensive energy package or as a stand-alone bill — would be a huge win for American consumers and businesses alike. While the comprehensive energy package reported by the Committee contains many laudable provisions which are strongly supported by the Alliance, it fails to include key, consensus provisions that are included in S. 720,” said Callahan. We urge the Committee leadership to expand the comprehensive energy package to include all of the provisions of S. 720 when it is brought to the floor for consideration. And, as importantly, we urge that the current furnace provision be stripped and/or replaced with the language from the House Energy and Power Subcommittee bill as it represents a consensus developed by the stakeholders.